Socialite Amber Ray has opened up on how breaking up with her ex-boy friend turned out dramatic and almost made his father kick her out of their home. 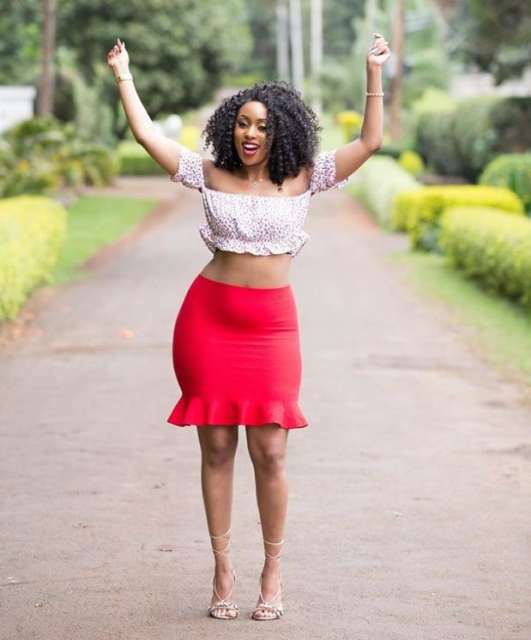 On social media, Ray, real names Faith Makau, shared that her father was angry after she broke up with the ex just days to the dowry payment. She was almost chased away because of this. She also hinted the bride price was high, a reason why her dad must have been extremely angry. “A few years back my dad almost kicked me out of his house because I broke up with my ex a month before the set date for dowry payment. You can all guess how much it was #amberthebrand,” she said. Amber, a mother of one and is married to politician Zaheer Jhanda, is a second wife. She confessed that being a second wife sometimes can be hard but she has settled into the role. “Very hard, sharing is not easy and for that we can never be friends,” said Amber Ray.